So you have seen more than enough of me on TV already? 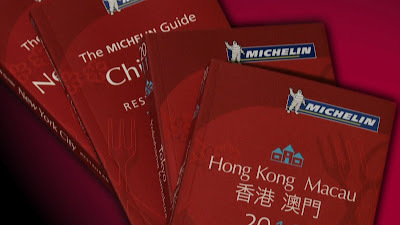 Sure, that's a valid point but do enjoy Episode 2 of Quest for Stars to get a better understanding of what chefs, foodies and bloggers in Hong Kong think of the Michelin Guide Hong Kong & Macau 2011. Of couse don't miss out on how Diary of a Growing Boy bashed about the Guide with very valid arguments, as always. Did I mention there are more of me in the following clips from Episode 2? Don't worry if you missed Episode 1, you can check it out here.